Mr. Mawby is a Retirement Plan Consultant specializing in the design, implementation, and ongoing compliance oversight for all types of qualified retirement plans. Bill is a graduate of Kenyon College in Gambier, Ohio. He began his work career as the Asset / Development Manager for Jacobs Investments Management Company in Cleveland, where he was instrumental in the assemblage and development of major real estate development projects. Bill was with the Jacobs family for 14 years. Bill then took a position with American Express Financial Advisors where he held various management positions as well as running his own practice for 10 years. Over the years, Bill has focused his career in the qualified retirement plan area. He obtained his Chartered Retirement Plan SpecialistSM (CRPS®) and Chartered Retirement Plan CounselorSM(CRPC®) designations from The American College while building his practice. 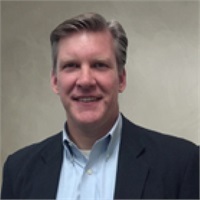 Bill is a Registered Principal (Series 24), and Registered Representative (Series 7, Series 6) through Cetera Advisor Networks LLC, and is licensed to sell life and health insurance as well as annuities in the State of Ohio. He is also an Investment Adviser Representative of Financial Management Strategies, Inc., a registered investment adviser. Bill is a resident of Hudson, Ohio where he lives with his wife, Jennifer and his children Kathleen, Isabelle, Tommy and Megan.